2019 Governor’s Awards for Local Government Excellence | Do you have local government leaders in your community who demonstrate exceptional dedication to improving public services? Each year, the Governor’s Awards for Local Government Excellence are presented to local government leaders who have demonstrated exceptional dedication to improving public services through innovative projects or initiatives in the above categories. Nominate someone; click here. Joining forces | An LNP – Always Lancaster page one article states: “It’s no secret that Pennsylvania’s sunshine laws are some of the weakest in America.” The article announces that Lancaster Newspapers has joined “two of the state’s largest news organizations, The Philadelphia Inquirer and Pittsburgh Post-Gazette, to create a new investigative reporting team covering Pennsylvania state government.” The new initiative is called SpotlightPA. 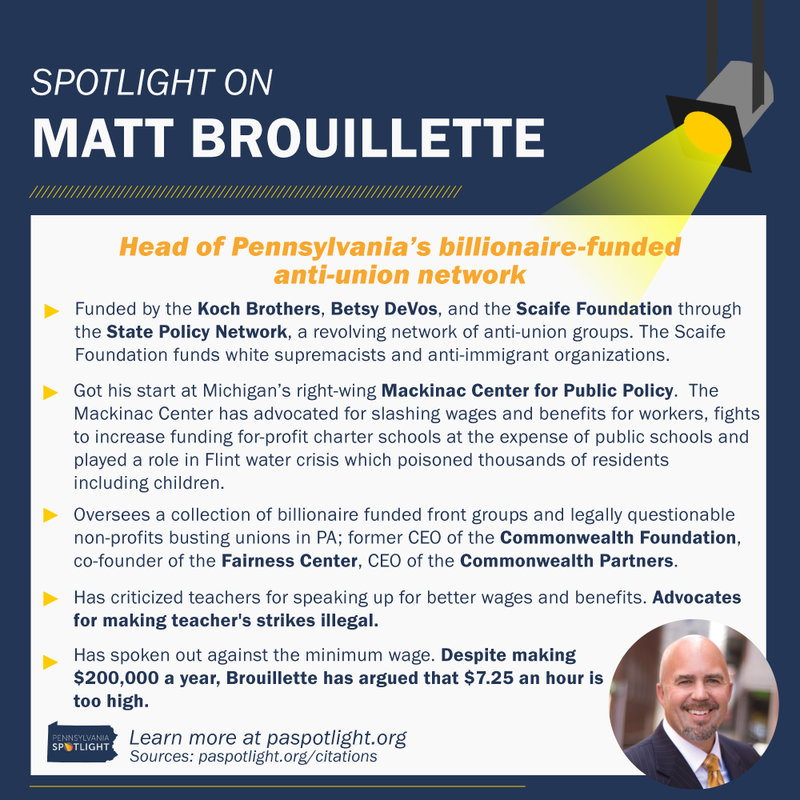 “Funded by the Koch Brothers, Betsy DeVos, and the Scaife Foundation through the State Policy Network, a revolving network of anti-union groups. The Scaife Foundation funds white supremacists and anti-immigrant organizations.